Fish Template (printable version) For some reason there is a straight line that is appearing on this picture when you print it. I have tried to remove that but no luck. I guess that straight line really likes Mr. Fishy. He is not going anywhere. However if you are cutting the fish out, it will not matter. Take a coffee filter and draw a fish on it. 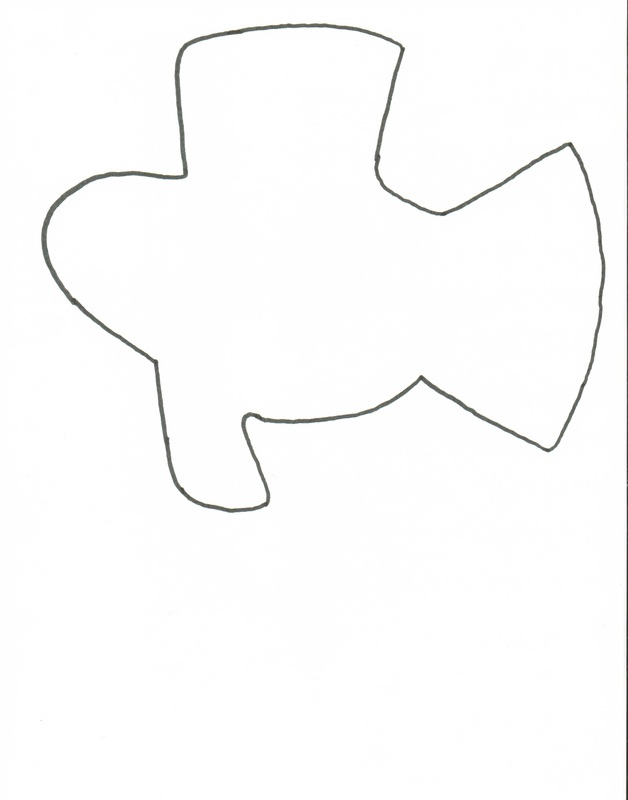 Or print this fish template out and use that to draw on your coffee filter. Once you have the fish drawn on coffee filter, cut it out. Spray down with water to smear the marker for Tye dye look. Cut strips of tinfoil for effect. Our Take On It: We made these pictures below and they turned out really neat. It took the kids some time doing this project, so allow for that when planning for childrens church or sunday school. I just helped them out by drawing the template fish on to the coffee filter to save time.